Scott Grant and Robyn Greenaway have successfully collaborated in attaining another grant. The Holiday Coast Community Partnership Grants have approved an application for the purchase of six roller banners. These units allow for changeable and moveable displays. The first project in the pipeline will be to feature prominent women in the Manning Valley and their sometimes, ground breaking achievements. What’s New – A vintage ‘Scott Bonner’ lawn mower has been donated and this has been installed in the machinery shed and the tractor has been moved for better visual appeal. 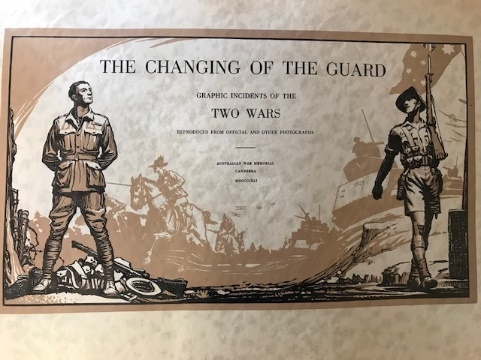 Recognition of Museum in State Parliament – On May 2nd our local State member, Stephen Bromhead, spoke in Parliament making a Community Recognition Statement, acknowledging out refurbished war display. This has now been recorded in Hansard and may assist with future funding applications. Membership Reminder – renewals are due. 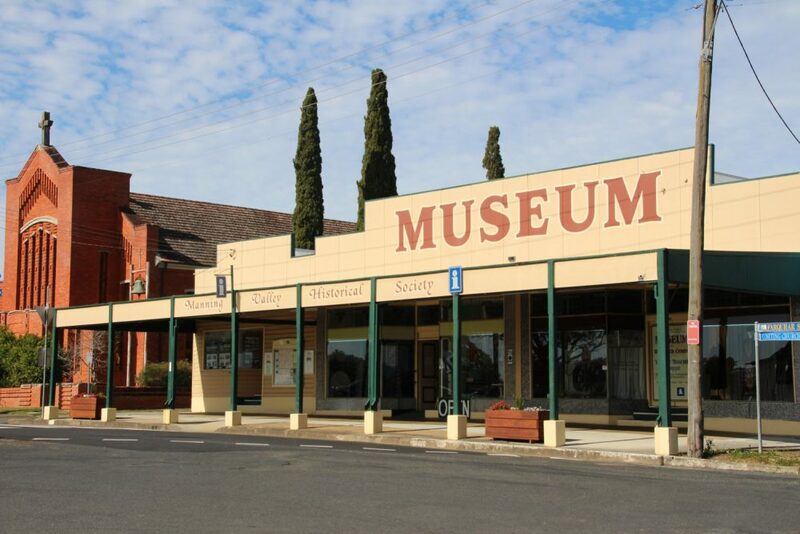 Museum Reception Workers – An Emergency phone list is to be found behind the list of MVHS members contact details. These numbers are only to be used in case of an emergency and details not to be given to anyone. 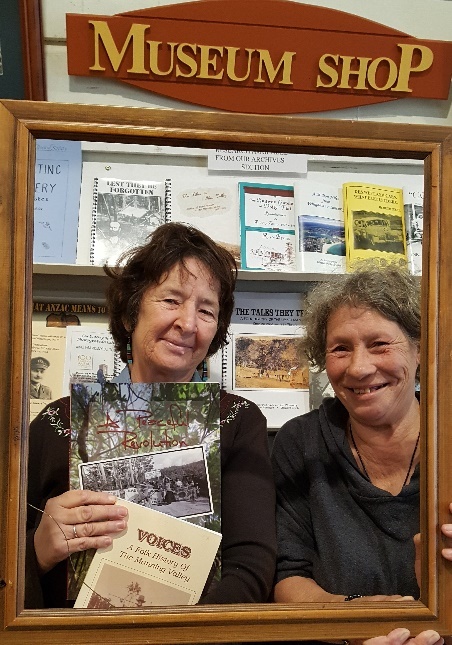 Helen Hannah was a recent visitor to check on her books that are for sale, ‘Voices’ and ‘A Peaceful Recognition’, The Elands Alternative Community 1970 – 1995. We have a large selection of family and local history books and some 2nd hand, out of print books. 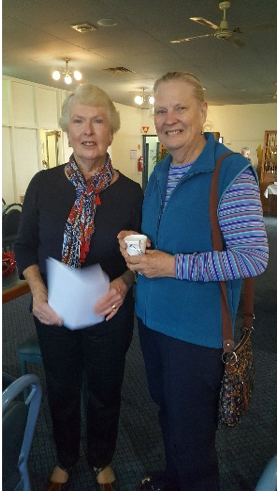 These include, ‘Changes of a Life time by Tom Woollard, ‘Wingham’s Past Days’, ‘Taree Sesquicentenary book, 1854-2004’, ‘Town and Country’, History of the Manning Valley by Max Solling, 1788, ‘The People of the First Fleet’ by Don Chapman. 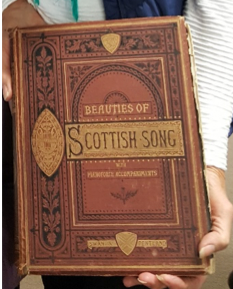 At the 2018 Bonnie Wingham Scottish Festival, Bruce McLennan, Festival Chieftain, Clan Genealogist and Webmaster, presented a box of rare and valuable Scottish sheet music & song books. These have been donated by the Scottish House at Bundanoon which has now closed. We also received a donation of rare and original WW1 & WW2 books that were a Government issue, 1942. In June – July 2018? Browsers at MVHS book stall, Central Park, Wingham. 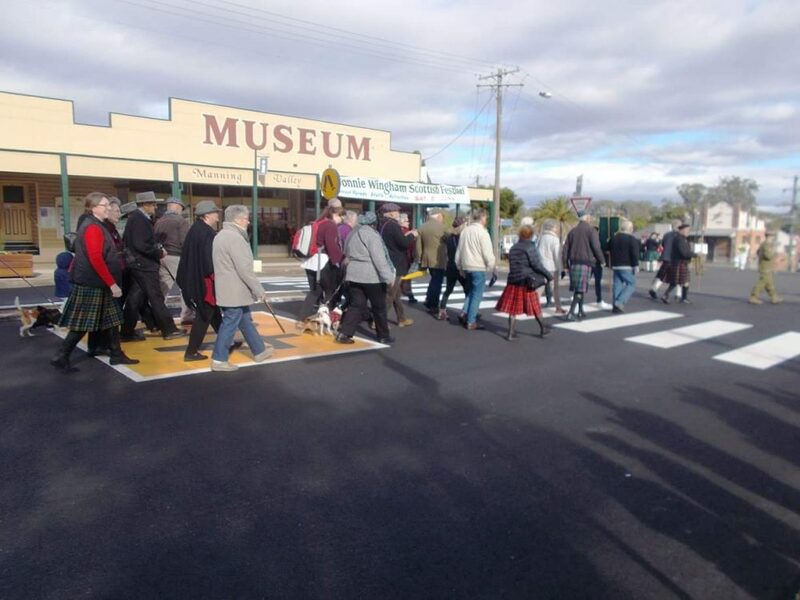 Wingham and the MVHS Museum had an influx of tourists and visitors for the Festival. The speakers at the Genealogy Fair gave insights into Scottish migration, John Oxley’s 1818 expedition and the lives of several political prisoners transported for their involvement in advocating social reform and economic changes. 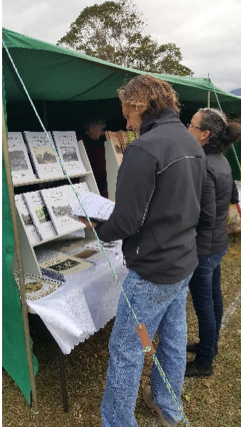 A large crowd attended the Highland Games and Market Day in Central Park and our MVHS book stall made a large profit on sales of our local history books. People ask why Bonnie Wingham? The short answer is, to honour our Scottish ancestors who came to a new country and brought their Clan traditions, language, music and religion with them. As they settled in many places, land ownership and education were extremely important. Churches were quickly built to act as a place for worship, education and community activities. Families settled closely together and as many spoke only Gaelic it meant that school teachers had to be fluent in both Gaelic and English. 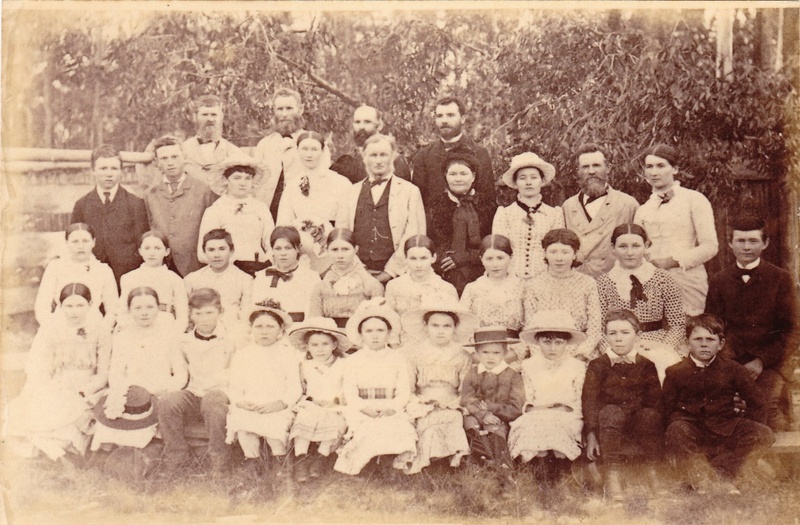 The founders of the Manning Valley Historical Society were mostly of Scottish descent and were also involved with the Presbyterian Church which led to a focus on Scottish concerts, fetes and dancing. 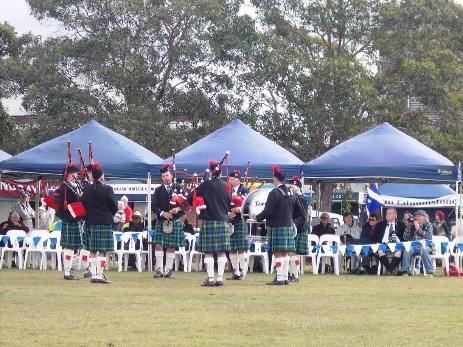 In 2004 the decision was made to establish a festival that would include most Scottish traditions in the area to be commemorated and celebrated. A committee was created from MVHS members and activities such as a Scottish concert, ball, ceilidh, poetry reading, highland games and bus tours to areas of Scottish settlement were included on the program. There was a focus on the Historical Society because of the amount of Scottish memorabilia that had been donated and collected from local settler sites. The importance of having the Historical Society connected to the Scottish Festival is to promote the Museum and the Society’s aims in preserving local history and traditions. Popularity has grown to the stage that the committee has regular contact with Canada, Scotland, New Zealand and America through Scottish websites and magazines. International visitors frequent Wingham during the festival period. Congratulations to the Bonnie Wingham Committee for all the work in planning, organising and co-ordinating such a grand event for Wingham. 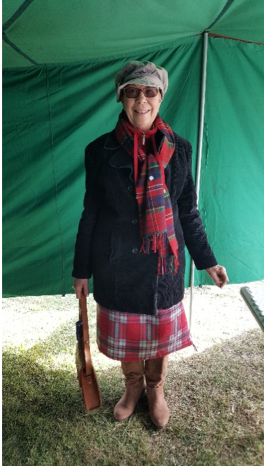 The Wingham Central Park, on the day of the Highland Games and Markets, had a very festive and social atmosphere with most people dressing in the theme of tartan. I saw on Facebook that one of the local cafés served over a thousand coffees on the day and I’m sure that all the other food outlets had a similar result. Well done, it’s not easy organising a series of events over a week-long period. The Committee’s teamwork that has enabled this popular festival to be held consistently over the past 14 years is to be commended. We look forward to Clan Lindsay next year.